As a professional roulette player, the first and most critical thing to understand is that there is a big difference between the roulette table and the wheel. 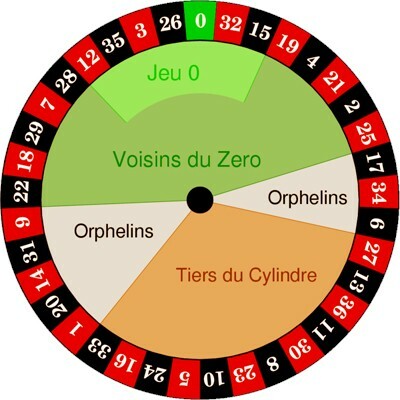 The roulette wheel layout and the roulette table layout are a deliberate randomisation. The most obvious is the alternation of red and black pockets because they do not represent any specific sector of the wheel. Although you could argue on the American 00 wheel, at around 00 there is a slightly higher average of red pockets, and at around single zero, there is a slightly higher average of black pockets. But the difference is not significant. The European wheel has 37 pockets, including numbers one through to 36, and just a single green zero. The European wheel house edge is -2.7%. 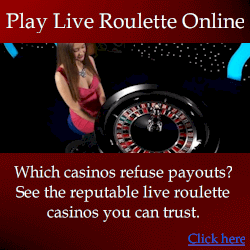 See the roulette odds page for more detail. On the note of the difference in house edge between each wheel, professional roulette strategies that beat roulette typically achieve a player edge of anywhere from 5 to 120%. 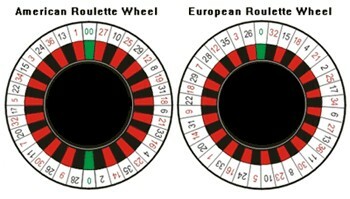 In particularly with roulette computer devices, and edge of 80% or more is common, so the difference in edge between the American and European wheel is is not overly significant for professional players. Simply whichever wheel exhibits the most predictable spins is favored. The house edge of the wheel is more a hindsight, although it is particularly relevant if you wish to play for fun. Simply a greater house edge means you have a lower chance of winning. Neighbor bets: These bets typically cover 5 consecutive numbers. The table layout is much the same for both the European and American wheels, with the main difference being the American table has the betting area for the 00 pocket. 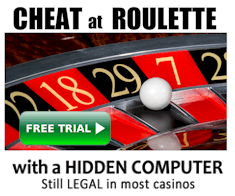 Another significant difference is that additional types of bets are permitted on the American roulette table. (1) Straight (1 number): 35-1 payout (pays your original bet PLUS 35 units). The example covers number 25. (2) Split (2 numbers): 17-1 payout (pays your original bet PLUS 17 units). The example covers numbers 20 & 23. (3) Street (3 numbers): 11-1 payout (pays your original bet PLUS 11 units). The example covers 13, 14 & 15. (4) Square (4 numbers): 8-1 payout (pays your original bet PLUS 8 units). The example covers 7, 8, 10 & 11. (5) Six Line (6 numbers): 5-1 payout (pays your original bet PLUS 5 units). The example covers numbers 1 to 6. (6) Colours (18 numbers): 1:1 payout (pays your original bet PLUS 1 unit). The example covers all red numbers. (7) Dozens (12 Numbers): 2-1 payout (pays your original bet PLUS 2 units). The example covers numbers 25 to 36. (10) Columns (12 numbers): 2-1 payout (pays your original bet PLUS 2 units). The example covers numbers 3, 6, 9, 12, 15, 18, 21, 24, 27, 30, 33 & 36. Roulette tables are designed to carry the weight of roulette wheels, which typically weigh approximately 80 kg. 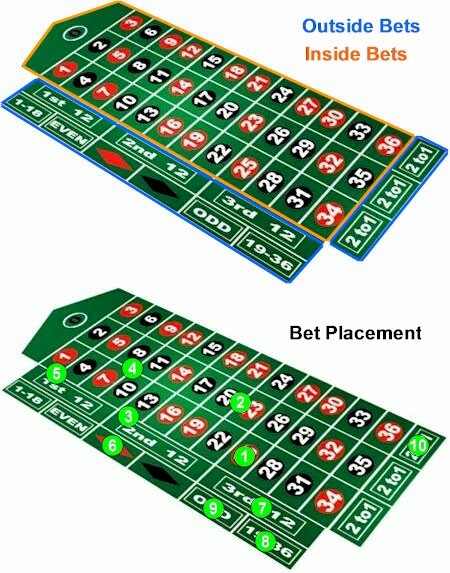 It is important for casinos to use quality tables and a sturdy floor, otherwise the angle at which the roulette wheel sets is varied. This creates an effect where the roulette ball will fall off the ball track at certain points more frequently than others. Another result of this, is that the ball will hit some metal deflectors more often than others. This is not the result of a bias or defect of the wheel itself, but rather a tilt, which is why professional roulette players often refer to this condition as a tilted wheel. However, dominant diamonds is not necessarily always caused by wheel tilt. Most casinos strive to carefully level their wheels, because tilted are easier to beat by professional players. Even on a sturdy roulette table, and very carefully level roulette wheel, the simple act of a player leaning against the table is enough to create a significant tilt of the wheel, and therefore dominant diamonds affect. Leaning on tables is often used by teams of professional players in casinos that very carefully level their roulette wheels. But even in casinos that do carefully level wheels, it is almost impossible to avoid the ball favouring particular metal deflectors, known as diamonds. 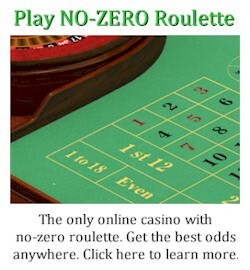 At particularly busy times in the casino, the roulette table can be crowded with players, and placing bets can be difficult. To a casino, the more players that are able to bet, the more money a casino will earn.Generally if you are not betting on the table, you will be asked to leave. Modern casinos often use what’s called rapid roulette, which is where a real physical roulette wheel is surrounded by touch bet betting terminals. Each player can sit in their own chair and place bets electronically by the screen in front of them. This can support 20 or more players at the same time. In some casinos there are rows of 40 or more players all watching the same wheel and placing bets.